Rim Joists - MGT Insulation, Inc. When rim joists are left uninsulated (as they are in many older buildings), the only thing that separates your home or business from the outdoor air is framing, sheathing, and siding. At MGT, we ensure that all accessible cracks and seams around your rim joists are well-sealed before insulating with one of our high-end products, ensuring comfort throughout your space. 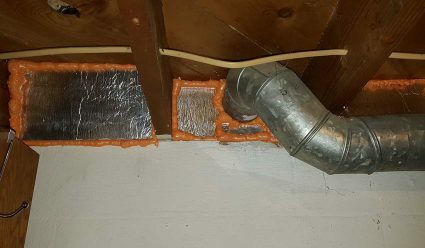 Rim Joists should be insulated to the same R-Value as above grade walls, which, in Minnesota, is R-21. We use the best insulation products to ensure that your rim joists are sealed and highly functioning!